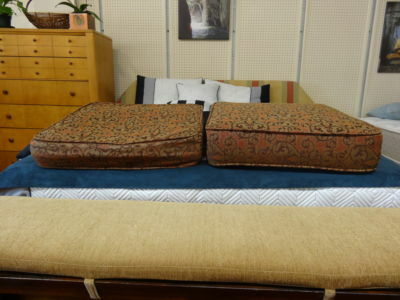 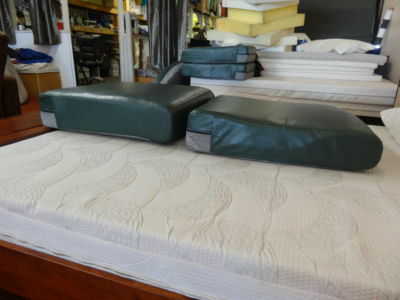 At Foam & Cushion, our business revolves around specializing in comfort — your comfort. 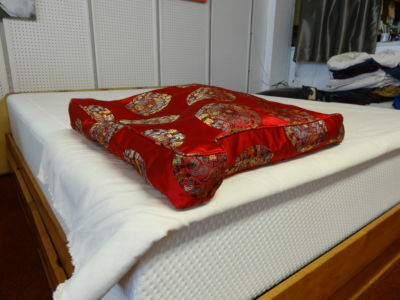 This means we’ve spent the last 30 years mastering the art and science of foam, and how to get the best best long-term comfort possible. 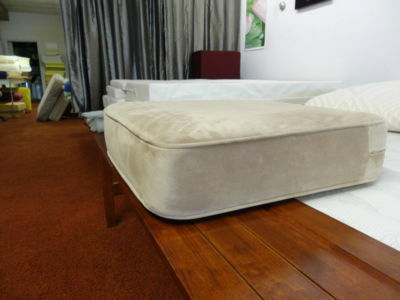 Below, we’ve showcased some of our incredible before and after images of jobs that our clients were very happy with. 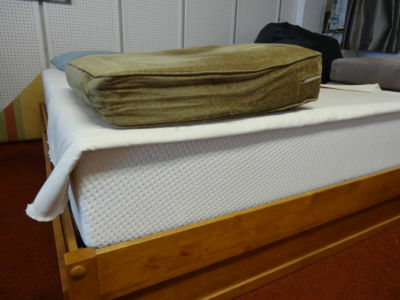 We’ve done a lot of jobs these past 30 years, see what we do for yourself! 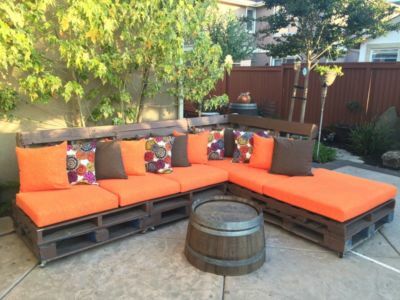 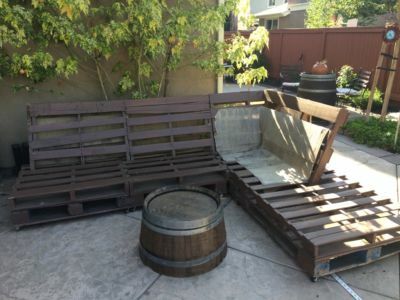 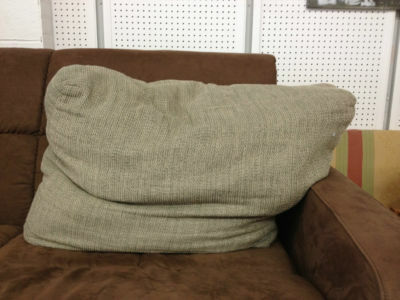 We supplied the Sunbrella covered cushions and throw pillows for a customer built pallet sofa. 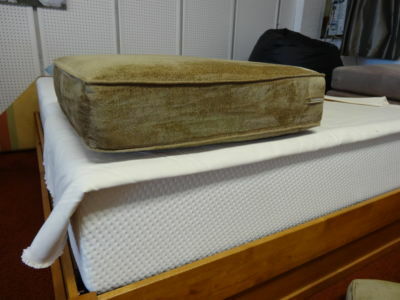 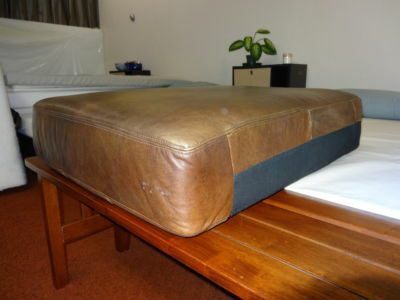 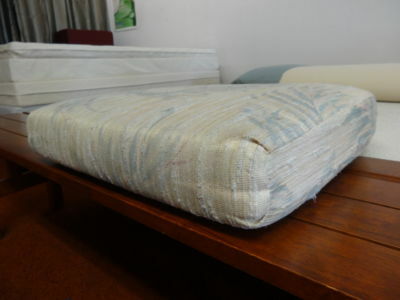 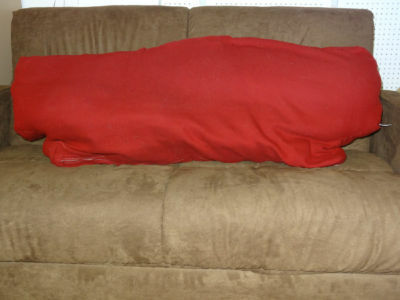 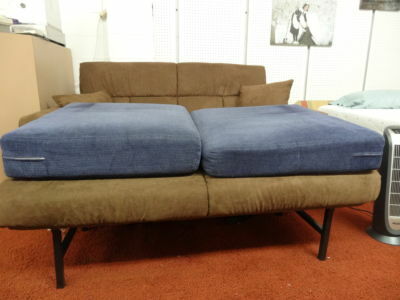 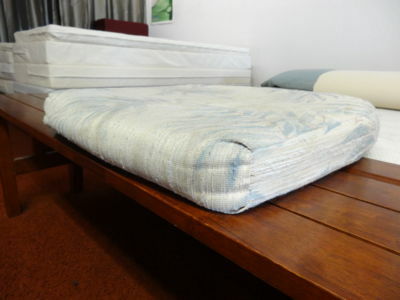 A soft used couch cushion re-stuffed with a 15-year high density foam. 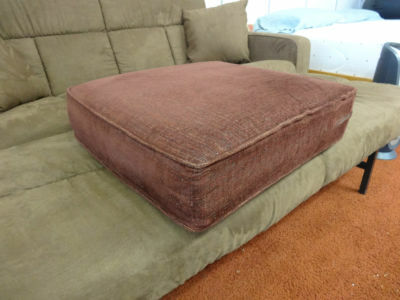 An old couch cushion re-stuffed with a medium firm 15 year high density foam. 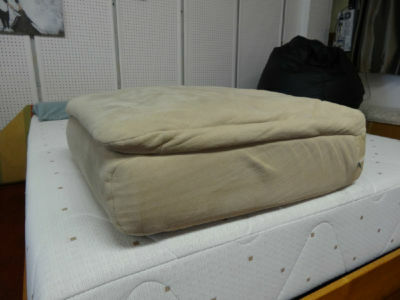 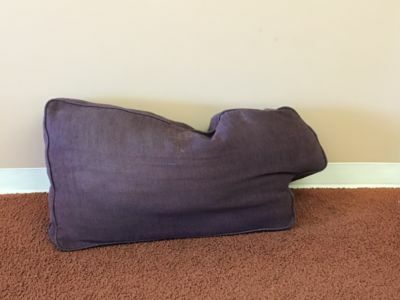 A collapsing polyester back cushion re-stuffed with a soft foam wrapped in batting. 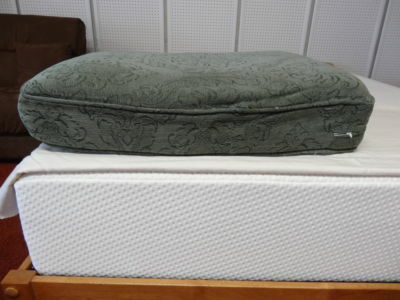 A dual layer cushion re-stuffed with a firm base and a softer comfort top. 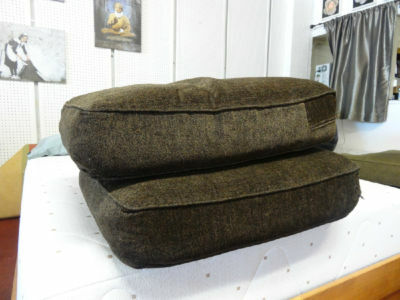 A pair of soft cushions made to be supportive again. 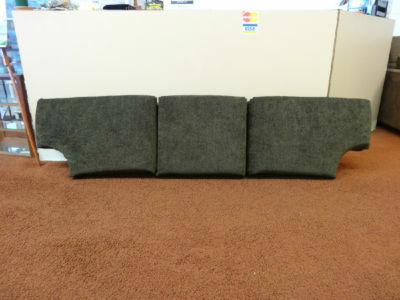 These soft couch cushions had lost their form, but with some new foam they are better than ever. 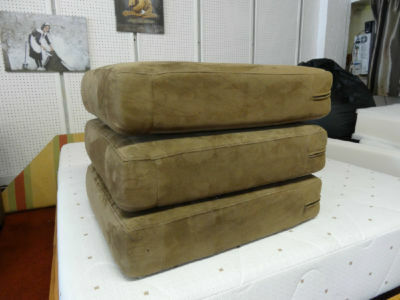 Three really disfigured seat cushions re-stuffed to look brand new and give good support again. 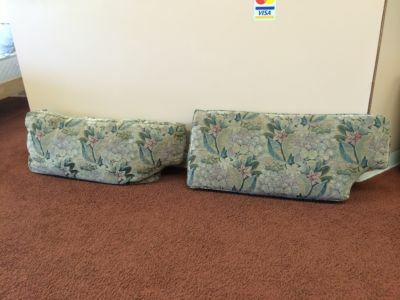 A trio of seat cushions made to look new again. 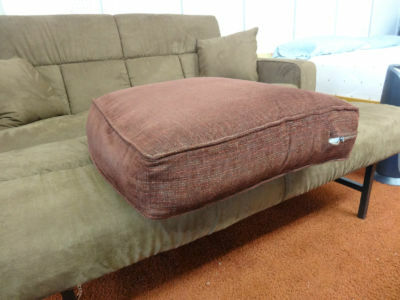 We re-stuffed this seat cushion with firm foam and an attached batting wrap. 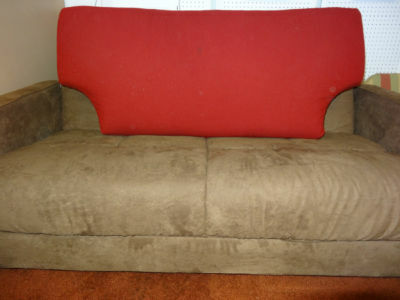 Collapsing back cushions re-stuffed with a soft yet supportive foam. 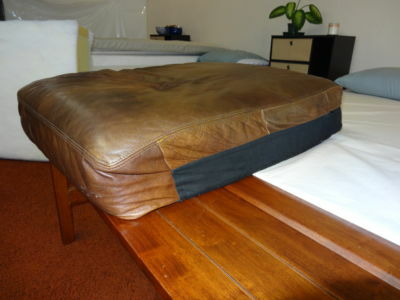 A leather seat cushion re-stuffed with a medium firm 15 year foam to look factory new again. 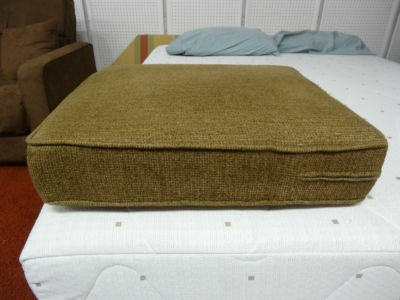 Another seat cushion re-stuffed with extra firm foam and batting for better back support. 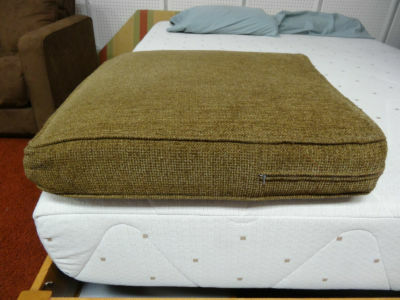 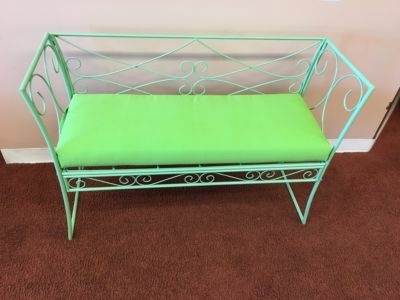 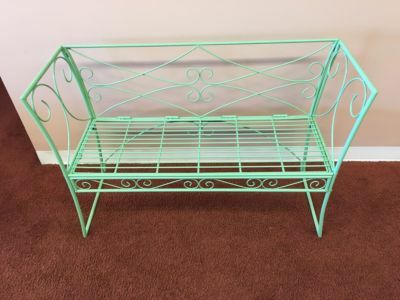 We custom cut and batted a foam cushion then covered it in an outdoor Sunbrella fabric for a customers bench. 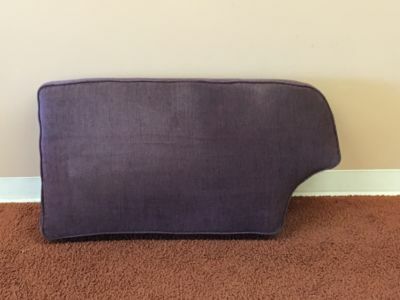 A sad looking seat cushion stuffed with a firmer foam for better support. 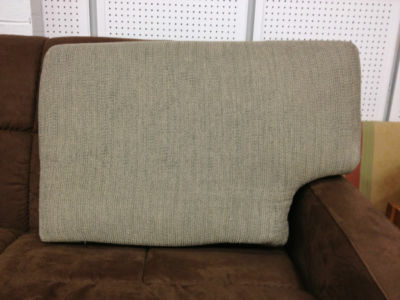 Another seat cushion stuffed with a firmer foam and batting to look showroom new again. 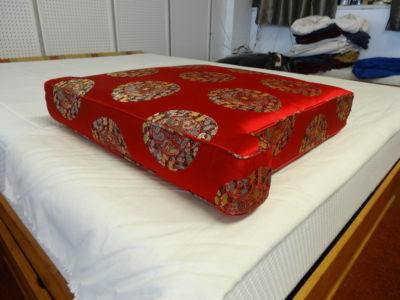 We cut some 2 inch thick foam then wrapped it in batting. 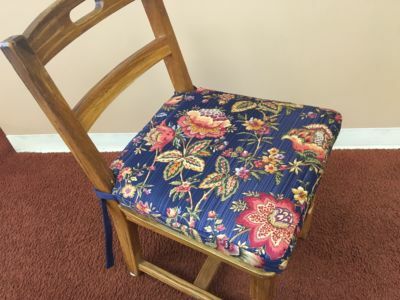 Using the customers fabric we created some zippered covers with ties in the back to hold the chair pads in place. 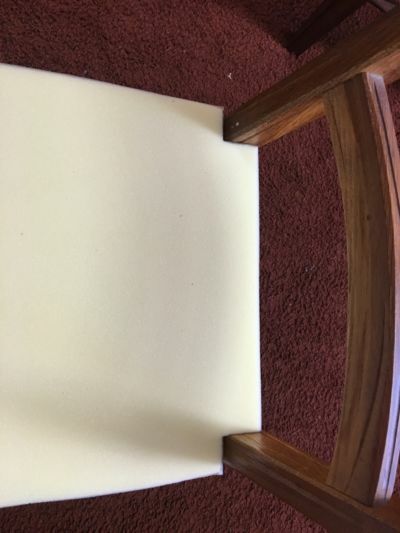 These are examples of foam cut to size for different types of chairs. 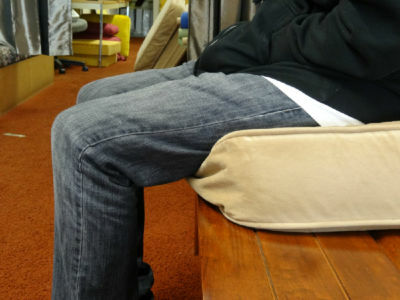 A back cushion made to be much more comfortable and supportive again. 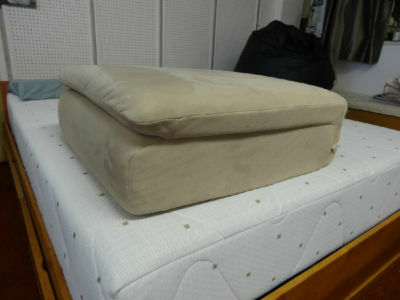 A very lumpy seat cushion re-stuffed with a high density seat foam. 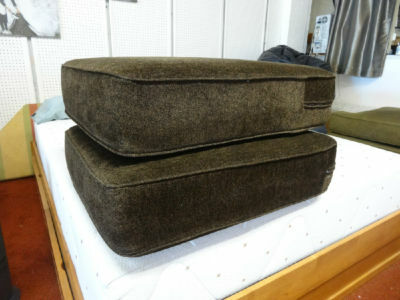 A dynamic side by side comparison of and old innerspring couch cushion and a new firm foam cushion. 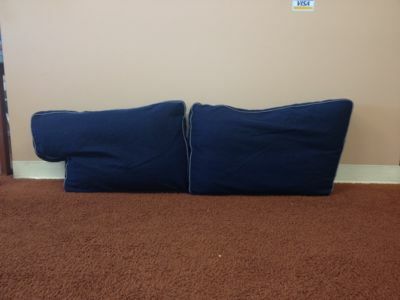 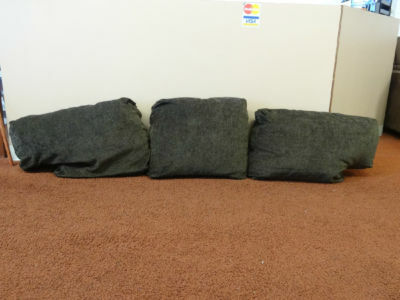 A set of innerspring couch cushions re-stuffed with a medium firm 5 year foam and attached batting. 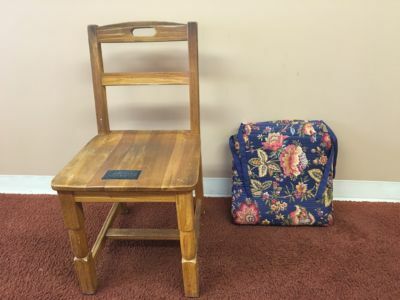 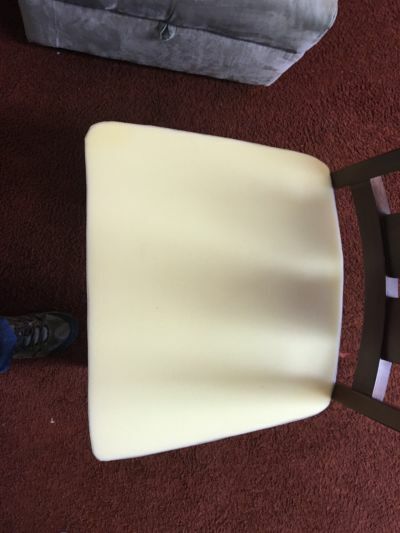 Some great examples of before and after seat cushions. 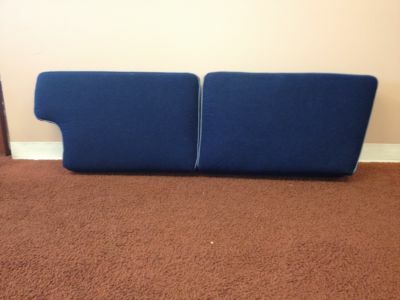 Another couple of examples of before and after back and seat cushions. 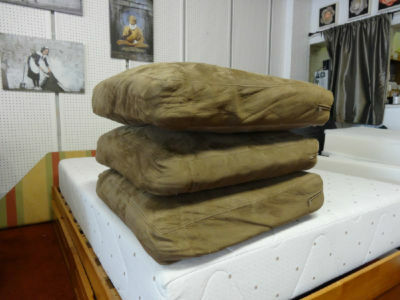 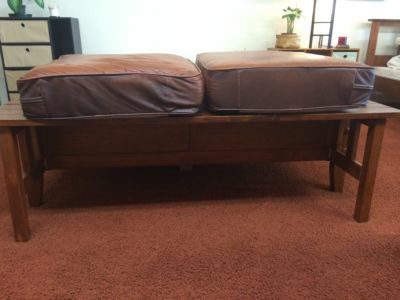 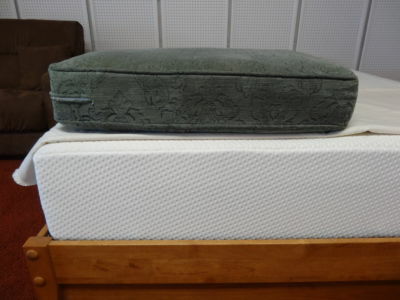 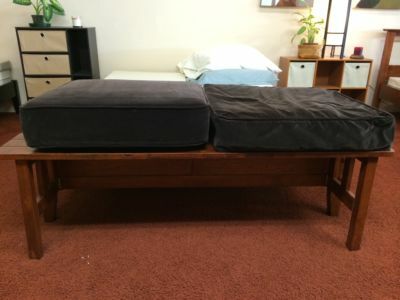 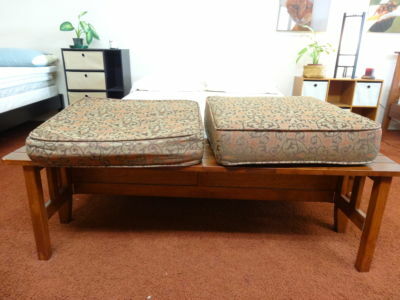 Two sets of seat cushions re-stuffed with a firmer foam.